The performance of irrigation schemes that carry sediment laden water is often poor. 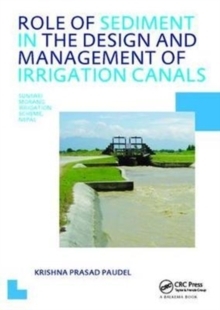 Modern irrigation schemes are increasingly demand based, which means that the water flow in the canals is determined by the crop water requirements. Accordingly the flow in the canal network is not constant as the crop water requirement changes with the climate and the growing stages. Also the inflow of the sediment is not constant throughout the irrigation season. Such schemes, particularly having unlined canals in alluvial soils, are difficult to design and to manage without compromising the flexibility or maintenance cost. 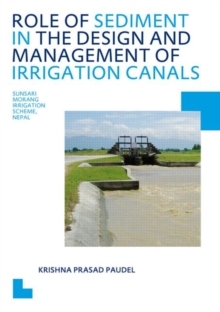 This research has made an in-depth assessment on the role of sediment in the design and management of an irrigation scheme by using the data of Sunsari Morang Irrigation Scheme, Nepal. An analysis of the velocity and shear stress distribution across a non-wide trapezoidal canal has been made to derive the correction factor for the sediment transport predictors. 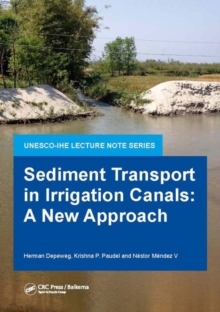 An improved approach based on a rational concept of the design of canals for sediment transport is proposed. By using the sediment transport model SETRIC, a water delivery plan has been designed and tested for changing water and sediment inflow conditions that can be implemented with the existing canal infrastructure. The research also shows that flexibility of operation and efficient sediment management are difficult to achieve at the same time. A compromise has to be made and this needs to be reflected in the design. All methods to transport, exclude or extract the sediment are temporary measures and just transfer the problem from one place to the other. A better understanding of sediment movement helps to identify the problems beforehand and to find the best possible solutions.